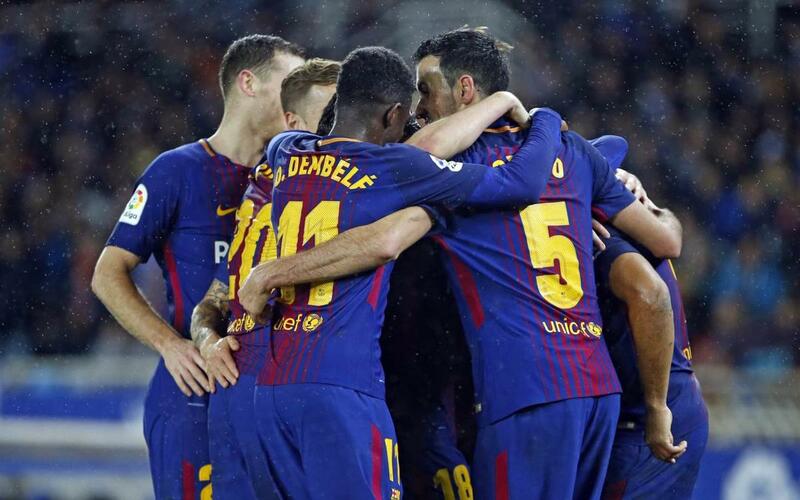 51 points is Barça’s total for the 2017/18 league season so far and that figure is yet another landmark in the Club’s history. The comeback win in Anoeta on Sunday evening brought the blaugranes league campaign to the half way point and the total of 51 points is the third best in the history of La Liga. Ernesto Valverde’s team this season have racked more points than anyone with half the season played, the only exceptions being blaugrana also; Tito Vilanova’s Barça side of 2012/13 collected 55 points and Pep Guardiola’s 2010/11 team managed 52. The 4-2 win against Real Sociedad was gives Valverde’s team a record of 16 wins and 3 draws in their 19 games so far. The team have now gone 29 games without defeat in all competitions in 2017/18.